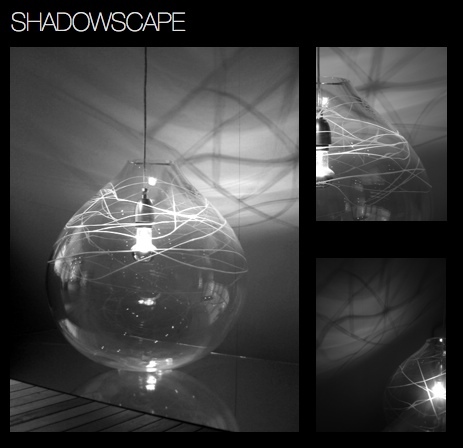 Shadowscape is a 450mm lead crystal hand blown hand cut vessel with pendant lamp. 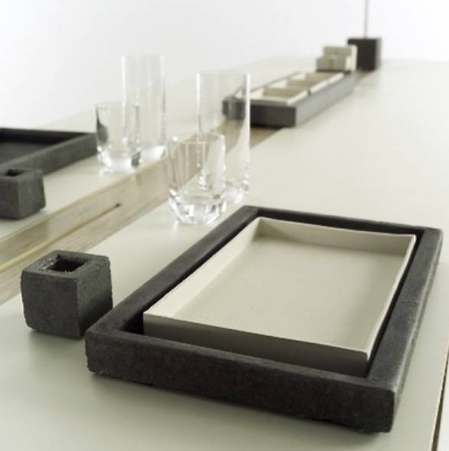 Angela collaborated with Welsh Glass designer Kathryn Roberts. Wear is an innovative soft-touch, functional and highly technical seat system designed to offer the user a fully compliant, attractive and comfortable alternative to the standard NHS uninspiring seat and back components saturating the market. Wear offers interchangeable removable covers - one to wear, one in the wash. 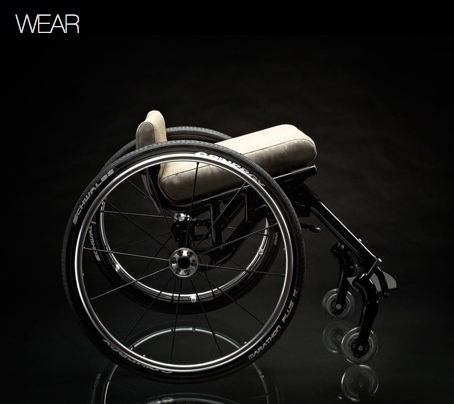 Inspired by technical outer-ware, Wear has an intentional element of style and technical fashion sense created for the fashion conscious technically savvy wheelchair user where freedom of choice and their own identity is paramount. 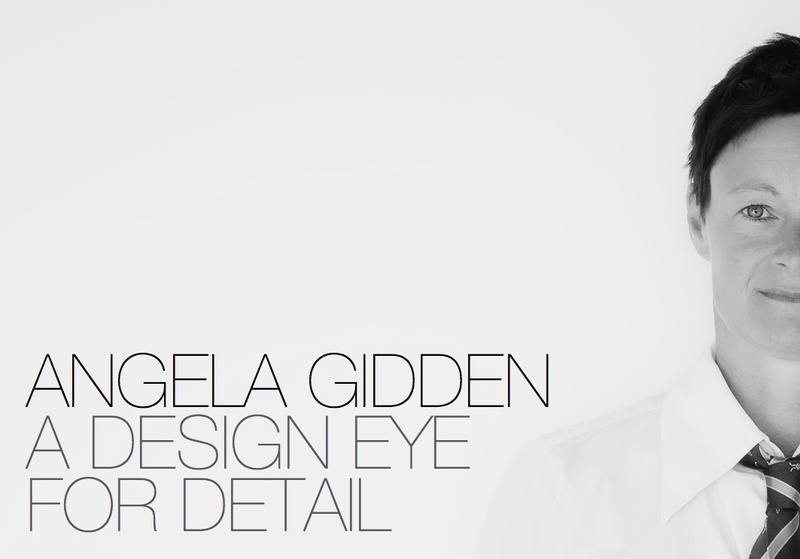 Angela worked on the project with designer Lynsey Jackson. 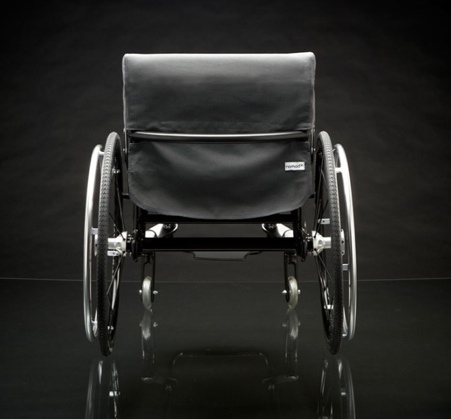 Nomad and the design of the wheelchair won the Design Management Europe Award in 2009. 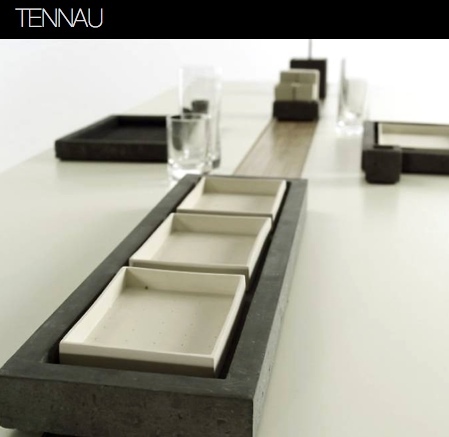 Tennau is a concrete and slip-cast porcelain tableware and lead crystal glassware collaborating with Royal Welsh Crystal company. The concrete pennant stone was sourced locally on the outsides of Cardiff.